No doubt about it: Ajaccio is our kind of cruise port -- easily explored on foot; crammed with good restaurants and well-stocked, unusual shops; and blessed with a harbor so pretty that local artists jostle with each other for a good painting spot from which to capture it. 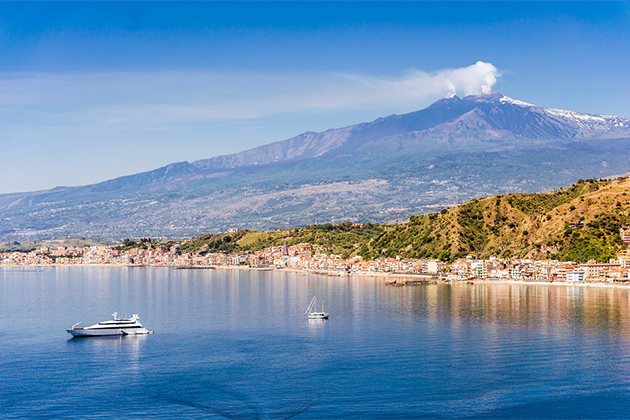 On a sunny, Mediterranean morning, the harbor sparkles like sapphire-tinted cut glass. Even the poorest history scholar won't take long to work out who Ajaccio's favorite son was: Multiple streets are named after Napoleon Bonaparte, who was born here on August 15, 1769 -- just a few months after the island of Corsica was finally claimed by the French, after being ruled for more than four centuries by the Genovese. You'll still find Italian influence here in some street names and in the local cuisine; though essentially French, it has a spicy undertone and features pork as a popular ingredient. In terms of shops and restaurants, Ajaccio feels 100 percent French. Expect pretty patisseries, stylish fashion shops and pharmacy windows, packed with every beauty accessory known to woman -- but at prices so high they would make a Parisien gasp. This is an island, after all; everything has to be imported, and that's reflected in the price tags. So be warned: This is not the place to make major purchases. Smaller ships dock right next to the Gare Maritime, while others will anchor and tender passengers to a nearby location. This large building offers little reason to linger; aside from toilets, snack machines and the booking desks for local ferry companies, there's not much of interest. On weekend mornings, the small Forain Market sets up on the waterfront outside the port, offering bags, belts, clothing and other items. Unless you have time to hire a car or take a ferry along the coast (not recommended on a short cruise ship call), you don't need to hang around the Gare Maritime. 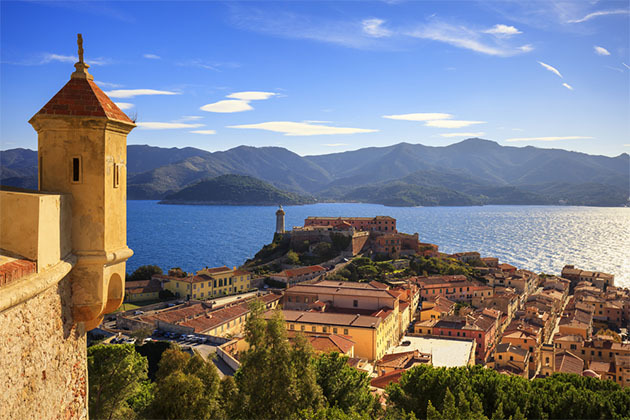 Instead, head left outside the tender pier and keep going straight along the road to get to the heart of Ajaccio's action: the pretty market square, the hotel de ville (town hall), the lovely Genovese old town and the best shops. Realistically, it's hard to see much outside of Ajaccio with only a few hours to spend ashore, as the spectacularly craggy and densely forested Corsican interior is not easy to negotiate. If you do decide to venture further afield on your own, allow plenty of time to get back before your ship sails. Heavy traffic! The French will not be parted from their cars, and the Corsicans have obviously been infected by their passion. Given that Corsica is one of the most under-populated islands in the Mediterranean, the level of traffic in Ajaccio defies belief. By Taxi: Taxis are metered, but you can agree on a set price with the driver if you want to hire him or her for a certain length of time. 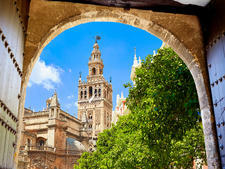 The best way to do this is to walk to the tourist office (just a few minutes from the port) and have them call you a cab; they can make sure you get a fair price and help you communicate with the driver, who typically won't speak English. By Bus: Ajaccio is walkable enough that most cruise passengers likely won't need to use the local bus service, but it does provide affordable transit to the beaches west of the city. Catch the no. 5 line from Place de Gaulle. By Rental Car: The nearest rental agency to the cruise port is about a five-minute walk away at the Ajaccio Hotel Kalliste (51 Cours Napoleon; 33 4 95 51 61 81; open daily). The currency in Corsica is the Euro, and credit cards are widely accepted. You can check currency conversion rates at www.oanda.com or www.xe.com. You'll find plenty of banks in town. There are several on or around Place Foch, including Credit Agricole and LCL. Banks are typically only open on weekdays, but their ATMs are accessible 24 hours a day. 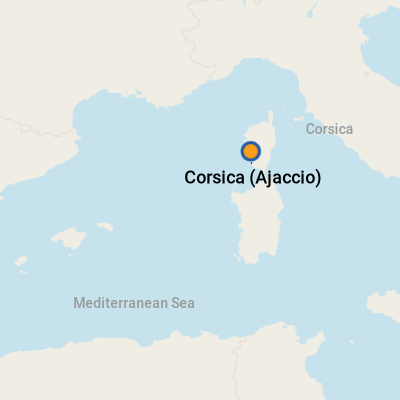 French is the official language of Corsica, but there is a local dialect -- called Corsu -- which sounds rather similar to Italian (hardly surprising, given the island's Genovese heritage). Locals will speak some English in Ajaccio but less in the more rustic, outlying villages. If you want a true taste of Corsica, try brocciu, the pungent local cheese; it's used to flavor savory pastries or mixed with chopped pork and stuffed into artichoke hearts. Wild boar, blackbird and thrush pate are also local specialties. The squeamish may prefer the island's pork-based charcuterie; Corsica has thousands of free-ranging pigs, whose acorn and chestnut diet gives their meat a distinctive flavor. If you're a vegetarian, stick to fritelli (doughnuts made with chestnut flour). Napoleon famously said that, even far out at sea and blindfolded, his nose would tell him when he was approaching his native land. Myrtle, lavender, rosemary, fennel, honeysuckle, thyme and broom are just some of the fragrant plants that thrive on this island, and their perfume is captured in handmade soaps and bath products. If scented potions are too rich for your nose, take home some delicious local honey instead. Or look for Corsican craftware, particularly art galtique (pictures formed from pebbles or small pieces of wood).